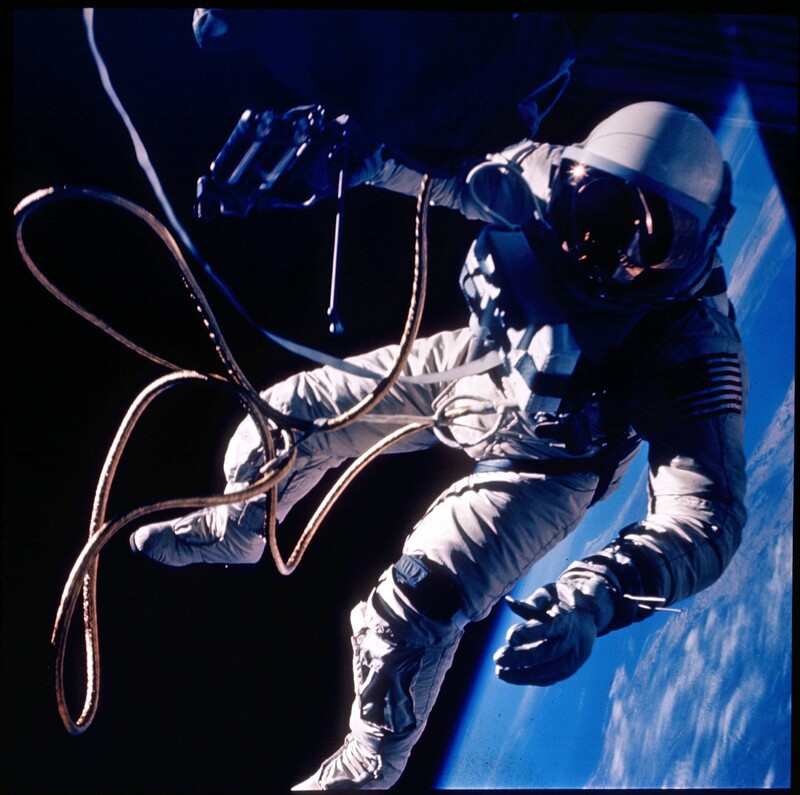 Explanation: In 1965, forty years ago on June 3rd, astronaut Edward White made the first U.S. spacewalk. Tethered to his Gemini IV capsule, White is pictured above holding a compressed gas "zip gun" for maneuvers in his right hand. 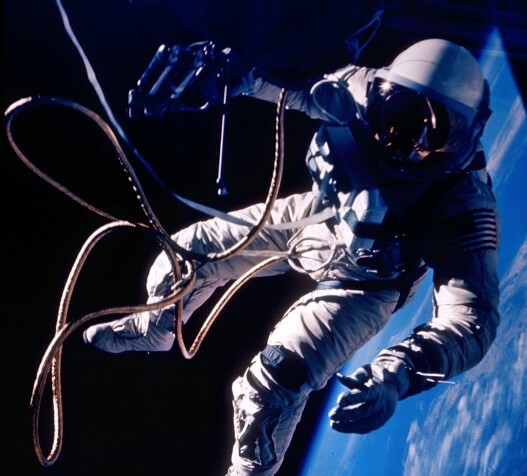 His spacewalk began over the Pacific Ocean near Hawaii and ended 23 minutes later above the Gulf of Mexico. Of course, the term spacewalk is a bit deceiving as White was falling freely in low earth orbit alongside his capsule manned by fellow astronaut James McDivitt. In free-fall, White was able to control his motions by firing bursts from his gun until its supply of compressed gas ran out. He ultimately returned, exhausted, to the two-man Gemini capsule.